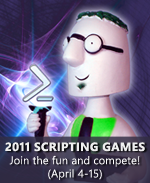 Summary: Advanced Event 3 of the 2011 Scripting Games uses Windows PowerShell to query class event and ETL diagnostic logs. You are in charge of server monitoring at a medium-sized company that consists of three geographically dispersed sites and 50 servers. The servers are running a combination of Windows Server 2008 R2 and Windows Server 2008. You want to query all classic event logs and the ETL diagnostic logs that are enabled and have had data written during the date in which the report is run. No matter when the report runs, it should return the most recent event written in the log, but only if the event occurred during the date in which the report runs. Your report should include the following information: The date and time that the event occurred, the name of the event provider, the event ID, and the message that is associated with that event. Remember, you only want to return the most recent event from each classic event log and ETL log that is enabled, and has had events written during the day in which the report runs. Output like that shown in the following image would meet the requirements of this scenario. For the purposes of this scenario, the script must only run locally. However, additional points are granted for configuring the script to run against remote machines.